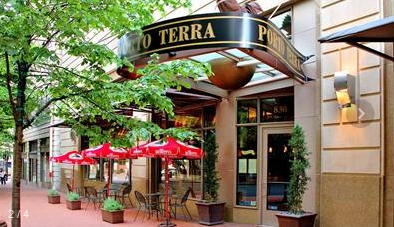 I received an email from Travel Zoo alerting me to a local deal ; Drinks and appetizers for two at Porto Terra Italian restaurant inside the Portland Hilton and Executive towers. I actually ate here once and the food was really good. They got really good desserts, and the ambiance is nice. Being that it is a Hilton property, you will get 6X per dollar if you have the Hilton American Express card. However, you can use any card. This deal is available from Travel Zoo and has some fine print. You can view the full details at this link below. Bon Apetit!